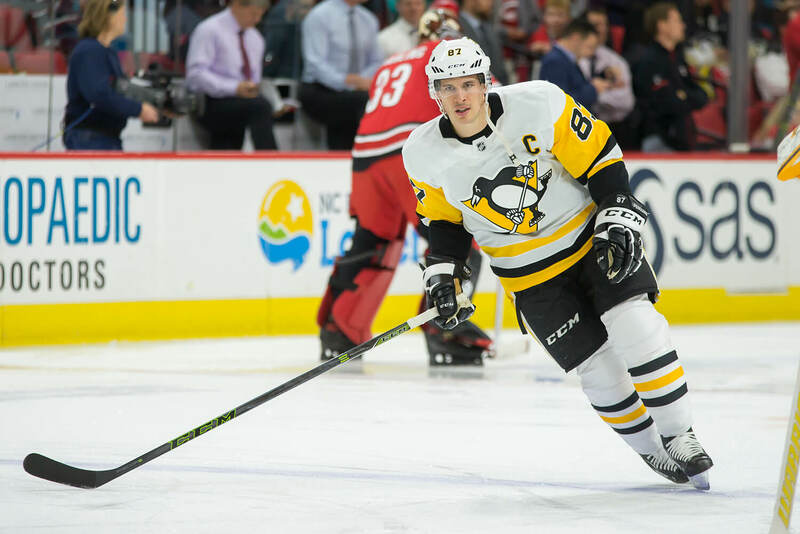 SYDNEY CROSBY (87) stickhandles during warmups before a game against the Carolina Hurricanes at PNC Arena. The Hurricanes beat the Penguins 2-1 in Regulation. 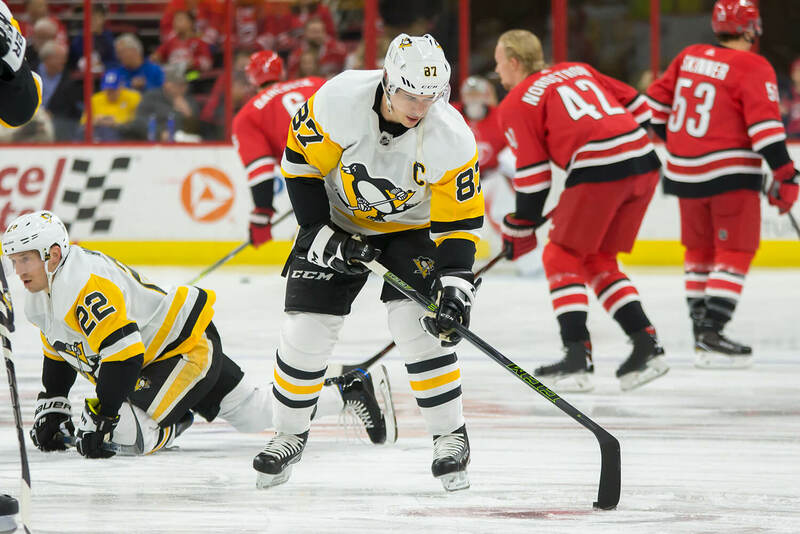 SYDNEY CROSBY (87) skates around during warmups before playing the Carolina Hurricanes at PNC Arena. The Hurricanes beat the Penguins 2-1 in Regulation. 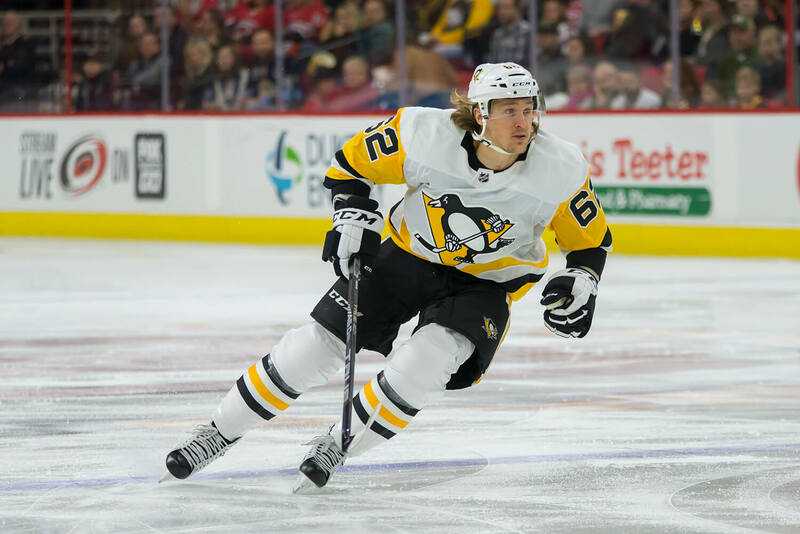 CARL HAGELIN (62) enters the attacking zone during a game against the Carolina Hurricanes. The Hurricanes beat the Penguins 2-1 in Regulation. 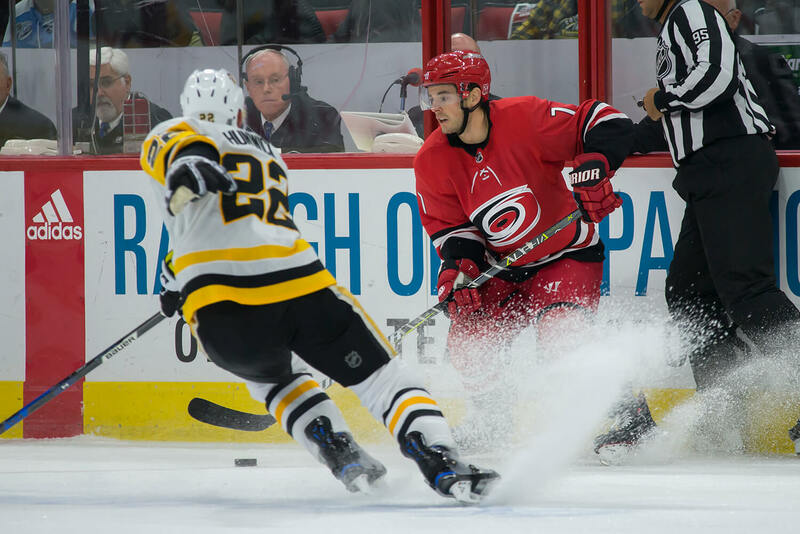 DOMINIK SIMON (12) skates the puck into the attacking zone during a game against the Carolina Hurricanes at PNC Arena. The Hurricanes beat the Penguins 2-1 in Regulation. 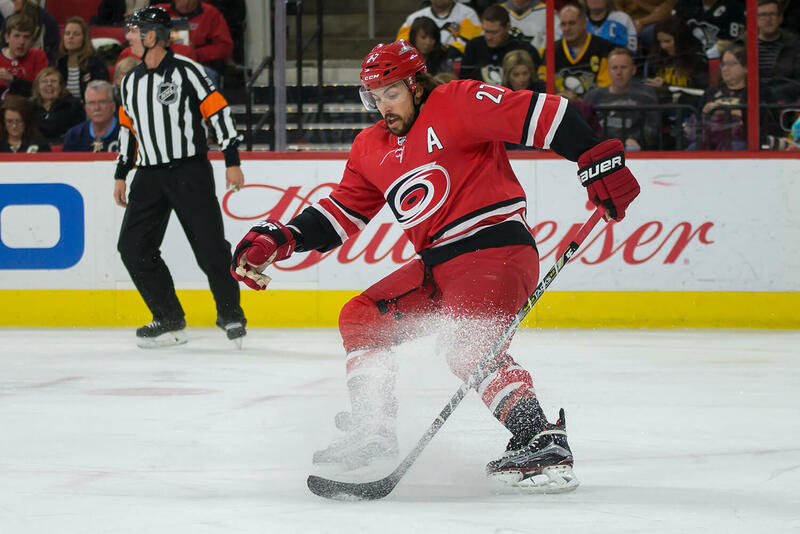 JUSTIN FAULK (27) plays the puck during a game against the Pittsburgh Penguins at PNC Arena. The Hurricanes beat the Penguins 2-1 in Regulation. 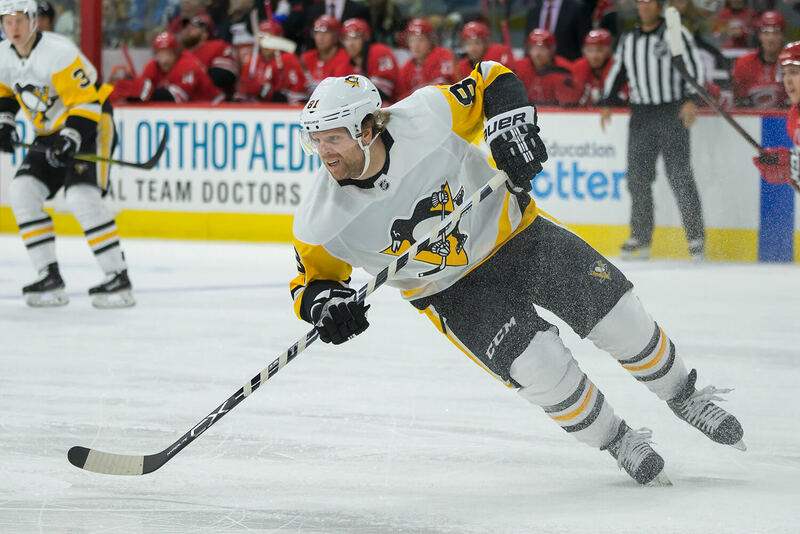 PHIL KESSEL (81) skates through the zone during a game against the Carolina Hurricanes at PNC Arena. The Hurricanes beat the Penguins 2-1 in Regulation. 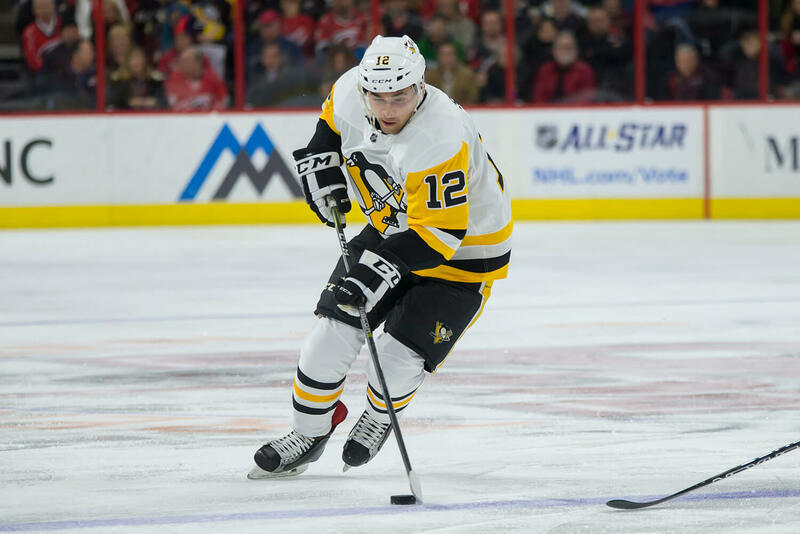 EVGENI MALKIN (71) puts a shot on goal during the first period of a game against the Carolina Hurricanes. The Hurricanes beat the Penguins 2-1 in Regulation. 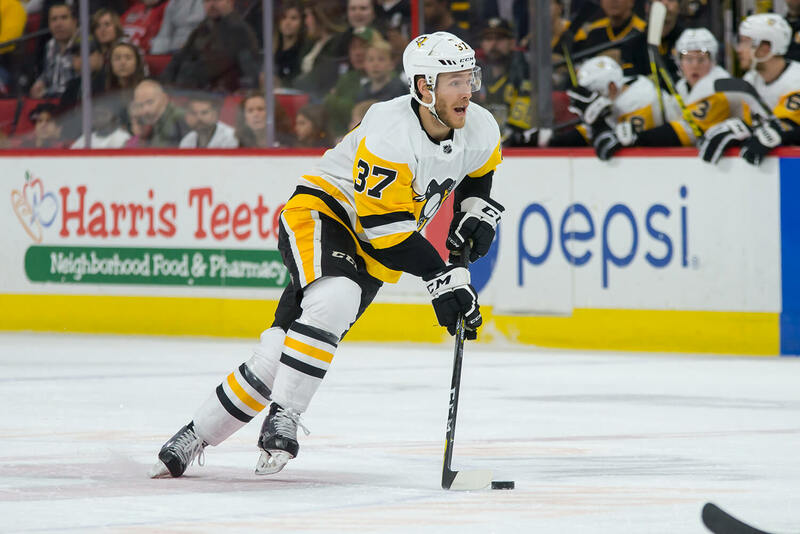 CARTER ROWNEY (37) skates with the puck against the Carolina Hurricanes at PNC Arena. The Hurricanes beat the Penguins 2-1 in Regulation. 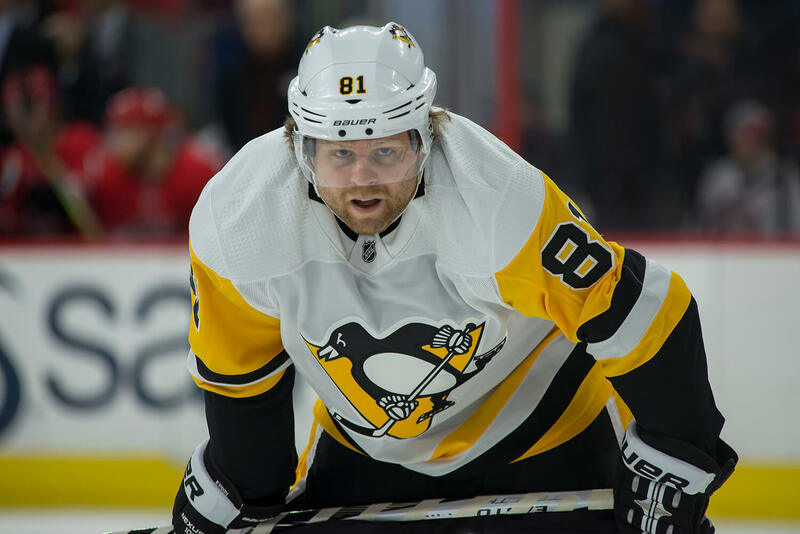 PHIL KESSEL (81) lines up for a faceoff versus the Carolina Hurricanes. The Hurricanes beat the Penguins 2-1 in Regulation. DEREK RYAN (7) loses an edge while playing the puck during a game against the Pittsburgh Penguins. The Hurricanes beat the Penguins 2-1 in Regulation. 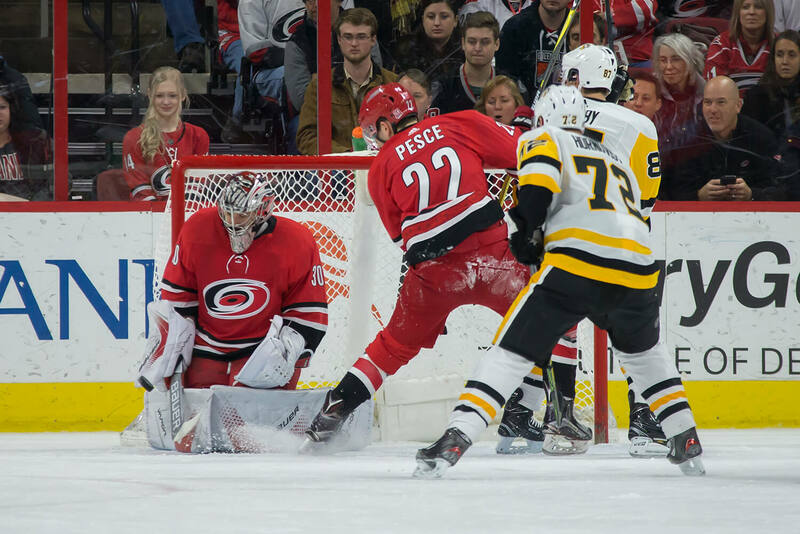 BRETT PESCE (22) dumps the puck into the attacking zone versus the Pittsburgh Penguins. The Hurricanes beat the Penguins 2-1 in Regulation. 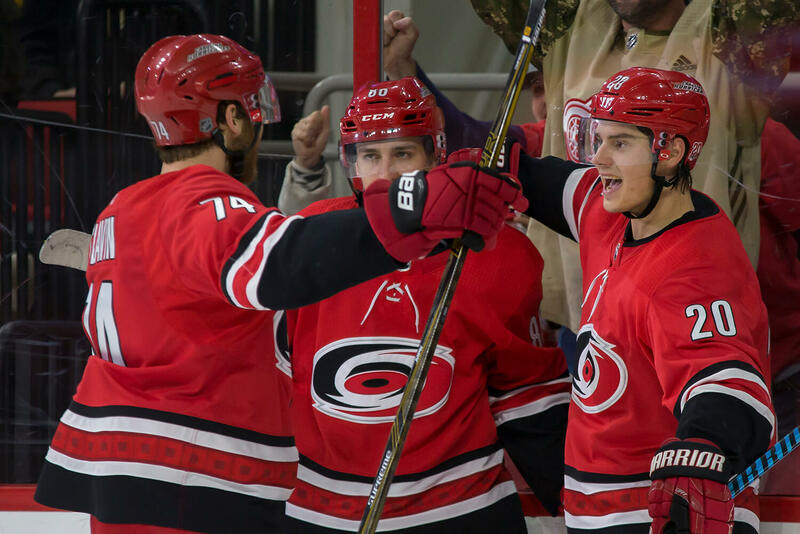 SEBASTIAN AHO (20) celebrates scoring the game-winning goal against the Pittsburgh Penguins at PNC Arena. The Hurricanes beat the Penguins 2-1 in Regulation. 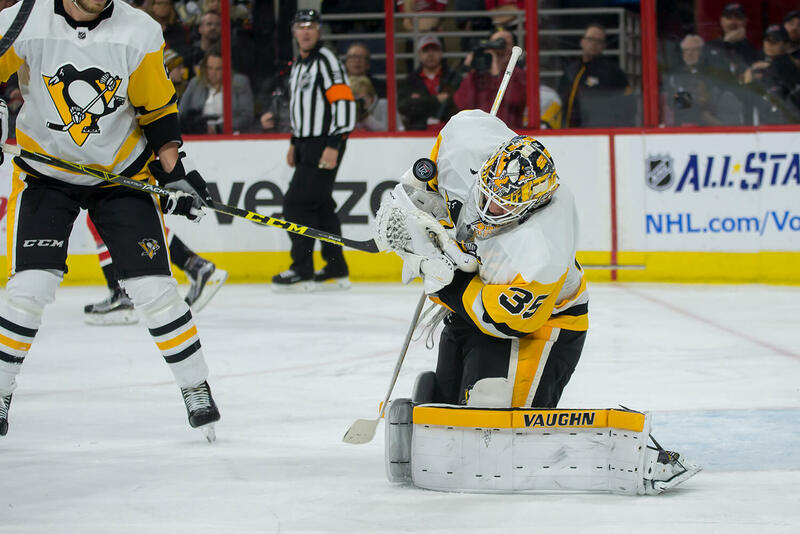 CAM WARD (30) makes a save during a game against the Pittsburgh Penguins at PNC Arena. The Hurricanes beat the Penguins 2-1 in Regulation. 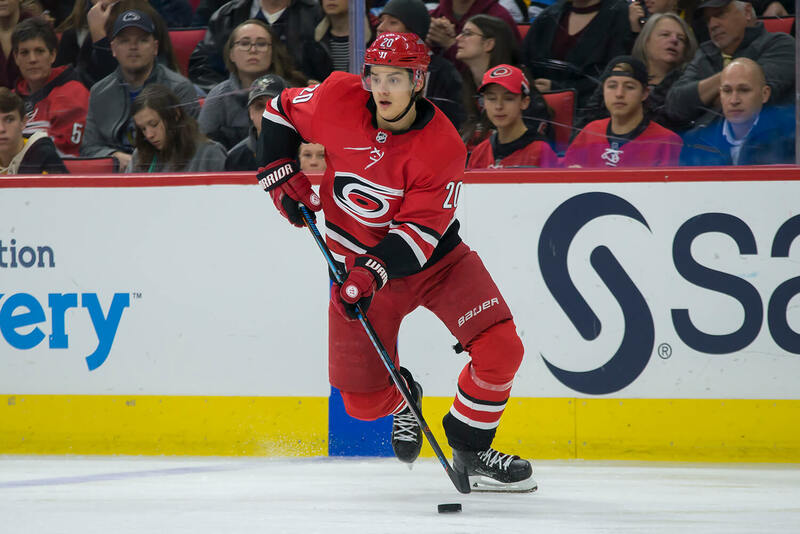 SEBASTIAN AHO (20) enters the zone against the Pittsburgh Penguins during a game at PNC Arena. The Hurricanes beat the Penguins 2-1 in Regulation. 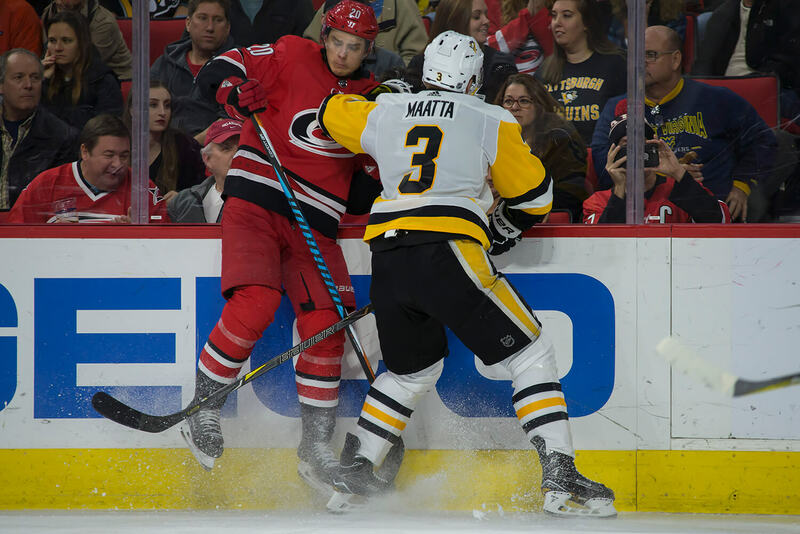 OLLI MAATA (3) checks SEBASTIAN AHO (20) into the boards during a game between the Carolina Hurricanes and the Pittsburgh Penguins at PNC Arena. The Hurricanes beat the Penguins 2-1 in Regulation. 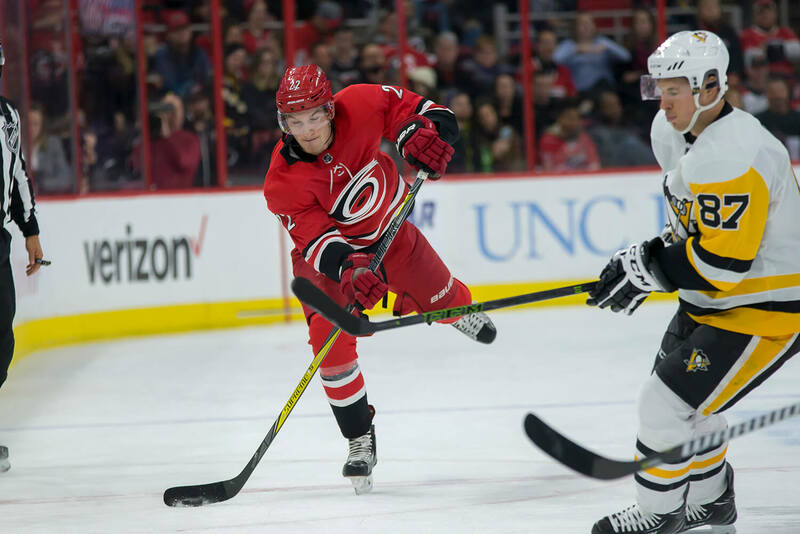 JEFF SKINNER (53) catches the puck during a game against the Pittsburgh Penguins at PNC Arena. The Hurricanes beat the Penguins 2-1 in Regulation. 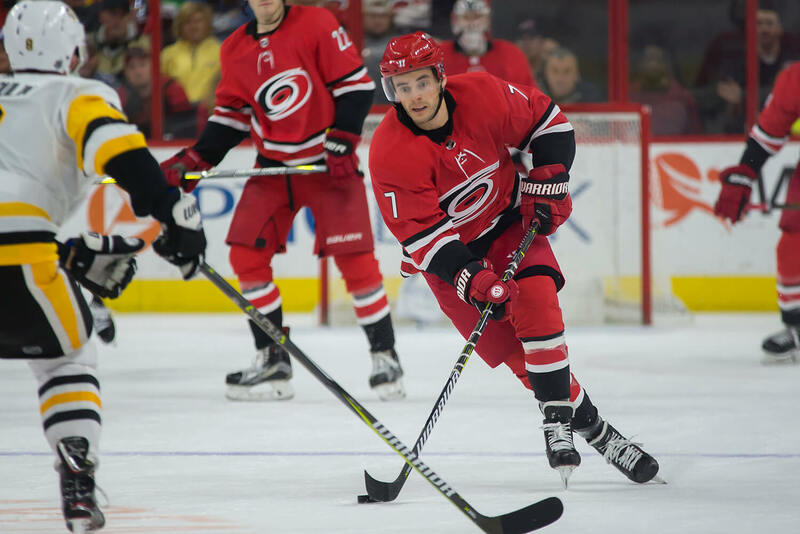 DEREK RYAN (7) plays the puck against the Pittsburgh Penguins at PNC Arena. The Hurricanes beat the Penguins 2-1 in Regulation. 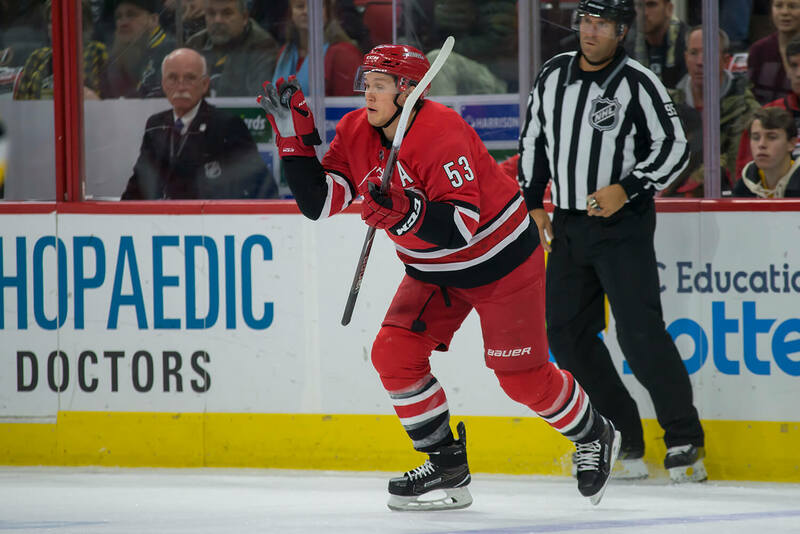 TRISTAN JARRY (35) makes a save against the Carolina Hurricanes during a game at PNC Arena. The Hurricanes beat the Penguins 2-1 in Regulation. 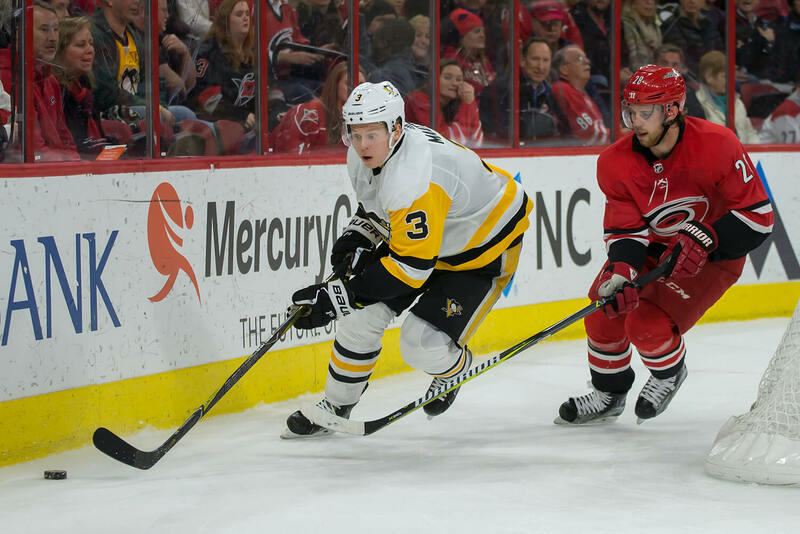 JEFF SKINNER (53) gets checked while playing the puck during a game against the Pittsburgh Penguins. The Hurricanes beat the Penguins 2-1 in Regulation. DEREK RYAN (7) skates the puck during a game against the Pittsburgh Penguins. The Hurricanes beat the Penguins 2-1 in Regulation. 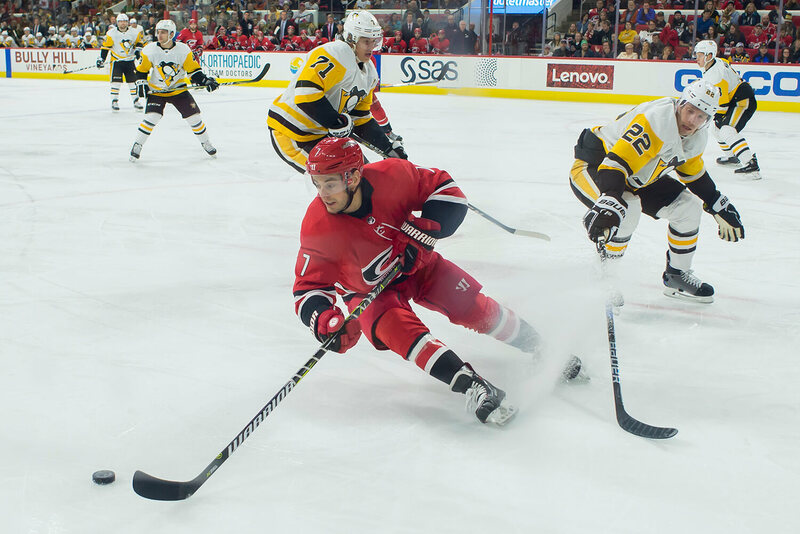 OLLI MAATA (3) skates the puck behind the net during a game against the Carolina Hurricanes at PNC Arena. The Hurricanes beat the Penguins 2-1 in Regulation.